It's a social world, don't feel left out! Social Media for Everyday Life course beginning in Tallow Enterprise Centre on Thursday 24th September from 2pm - 4pm. 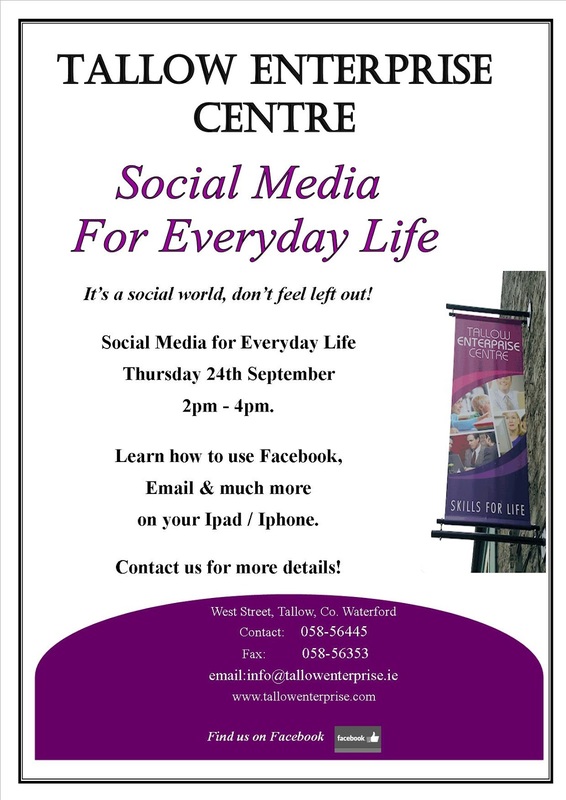 This is a 6 week course and will involve learning about various online communities such as Facebook, Twitter etc as well as how to connect to social media on your own Ipad / Iphone. Contact us on 058 56445 or info@tallowenterprise.ie for more details!